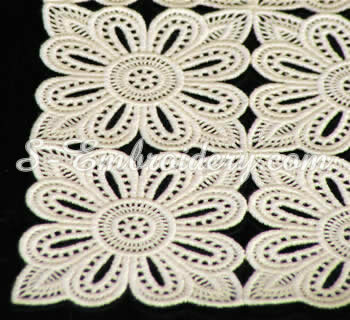 Another fine set of our delicate freestanding lace table runner / doily embroidery designs. 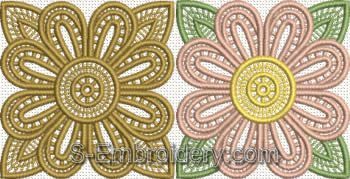 The set includes 2 embroidery files: a color and a mono version of this lace design. 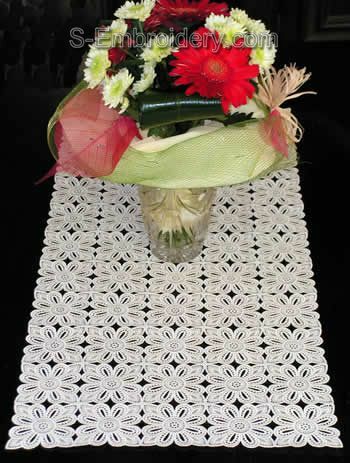 This design can produce a beautiful table runner like the one featured on this page or a doily / table runner with a size and color of your choice. You receive 2 machine embroidery files and 2 PDF files with design information and instructions. I just stumbled onto your site. What beautiful lace. Glad I found you.